Questionnaires will soon be sent to thousands of men who donated their baby teeth half a century ago to scientists seeking to learn whether radioactive fallout in milk the donors drank as children affected their health later in life. It’s the latest step in a study that began in the 1950s and 1960s at Washington University, but then stalled for decades. Fifty years ago, concern about atmospheric tests of nuclear weapons spurred a group of local scientists and other area residents to begin the project, then called the St. Louis Baby Tooth Survey. An early apparent link between fallout and health problems was established by the study. But now, more than 40 years later, the study is resuming. Researchers now hope to find links between fallout and instances of cancer in children born in the 1950s and early 1960s. Letters containing health questionnaires will go out in the new year to the donors of 6,340 baby teeth. Those teeth have been kept in storage since the original study. Preliminary results of the new study are expected by the middle of 2009, a New York-based scientist says. The scientist, Joseph Mangano, is executive director of the Radiation and Public Health Project. He said in a telephone interview that his research group has had possession of 85,000 donated baby teeth since 2001 but lacked the money until recently to begin a full study of the cancer risk posed by nuclear tests. Initially launched in December 1958, the project collected thousands of baby teeth from area children to test the teeth for levels of strontium-90, a radioactive chemical found in bomb fallout and at nuclear reactors. Mangano said that strontium-90 decays over time but that levels of the chemical are still detectable in the baby teeth collected many years ago. “We already have some anecdotes from people who think their cancers were caused or made worse by fallout,” Mangano said. One case that he said interested him involved Dr. Edward Ketterer III, an orthodontist who died of cancer almost three years ago at age 47. Mangano said Ketterer’s baby teeth are included in the current study and added that there was some reason to believe that strontium-90 contamination might have been linked to his cancer. Ketterer practiced in San Antonio but spent most of his early childhood in St. Louis. Ketterer’s father, Edward Ketterer II, also now of San Antonio, said in a telephone interview that he hoped the new study would help shed some light on his son’s death. “That would be great news,” said Ketterer II, who is 81 years old and in good health. He said his son was born at Scott Air Force Base while the family lived in St. Louis from 1956 to 1964. Ketterer II had a career in the Air Force and was stationed at Scott at the time, he said. Mangano said the rates of cancer found in those participating in the current study will be compared with rates of the disease among the U.S. population in general for men of the same age. Strontium-90 levels in the teeth of men who developed cancer also will be compared with levels of that chemical in the teeth of those who remained healthy. The study eventually will be expanded to include teeth donated by girls. Boys’ teeth are being used in the current sampling because it was easier to find them and learn their medical histories. Women who have changed their names after marriage have been more difficult to locate, Mangano said, but those conducting the study are trying to find them. The nonprofit Radiation and Public Health Project received a donation early in 2008 of $15,000 from the Oregon Community Foundation of Portland, Ore. The donation allowed the current phase of the study to begin. The rest of the nearly $37,000 project cost is being covered by other private contributors, project officials said. The teeth used in the current study were found in storage in 2001 in an old ammunition bunker at Washington University’s Tyson Research Center. Each tooth is enclosed in a small envelope and clipped to a 3-by-5 card with basic information about the tooth donor. The initial study’s findings helped lead to a 1963 treaty banning atmospheric tests of nuclear weapons. Mangano said it was especially important to focus the study on St. Louis, calling the city “probably the hardest-hit large American city by bomb fallout,” based on official U.S. Public Health Service measurements of radiation in milk. Scientists have identified a “milk pathway” by which fallout from nuclear testing in the 1950s and 1960s contaminated pastures. 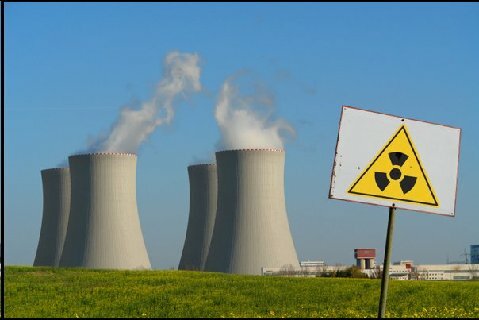 Anyone who drank milk from cows that grazed there could have been exposed to radiation. Mangano said the Washington University study showed there was a rapid decline in strontium-90 in baby teeth collected after the nuclear test ban took effect. But that study did not look at a potential link between cancer rates and fallout from the atomic bomb tests, he said.